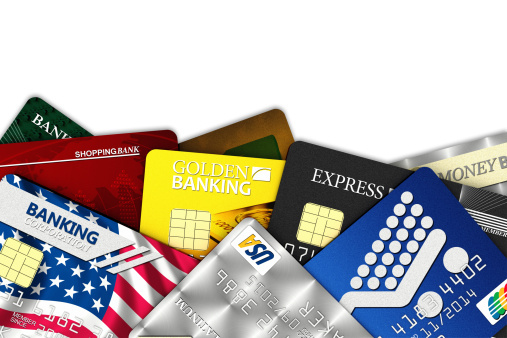 Debt consolidation has become a favorite way to deal with high levels of debt, and this is especially true for credit card debt. The basic concept is simple: roll several high interest credit card debts over into a single, low interest consolidation loan. Generally, the monthly payment on the consolidation loan is substantially lower than the combined payments on the credit card balances. And the lower interest rate of the consolidation loan enables faster payoff of the entire debt. But there are a few flaws in the process, most of them relating to personal behavior. 1. You first need to demonstrate control of your finances. Before you take a debt consolidation loan, you first have to recognize the fact that you got into debt because your living expenses exceeded your income. Unless you are able to get control of your budget (perhaps try Mint), consolidation will do little more than make your debt situation more tolerable. There is sometimes the thought that once you have a debt consolidation loan youâ€™ll be able to get control of your finances. That line of reasoning is seriously flawed. You need to have control of your finances before you take the debt consolidation. Weâ€™ll get a little deeper into the reasons for this in a little bit. Once you have a debt consolidation loan, itâ€™s absolutely critical that you have a plan to pay it off ahead of schedule. You can only do that by finding extra money in your budget that will allow for higher principal payments. You have to do this with a combination of increased income and lower expenses. Since both objectives usually take longer to achieve than you expect, you must have this process well under way before taking the loan. If not, you could very well get stuck in the business-as-usual rut. 2. Debt consolidation can become just one more debt. If you have been living with high debt levels for long time, it has become part of your lifestyle. You probably have found that you are able to go on with your life, albeit with some struggle. A debt consolidation loan will not change this arrangement! It is simply debt by another name. Since the debt consolidation loan will lower your monthly payments, it can actually make room for more borrowing. Your debt consolidation loan may be Loan #1, but it may soon be followed by Loan #2, Loan #3, and so on. Remember, you already have a history of juggling several loans the same time. Itâ€™s much easier to revert to this pattern than you think. This is why it is so important that you fix your underlying financial issues before taking a debt consolidation loan. The last thing you need to have happen is for your debt consolidation loan to be the first in a succession of loans. The only way to avoid this fate is by creating extra breathing room in your budget. At least some of that breathing room should be allocated to a faster pay off of your new loan. 3. One consolidation loan can turn into another . . .Â and yet another. Another big problem with debt consolidation loans is the revolving debt consolidation loan cycle. This starts with the first consolidation, and once a couple more loans are added to the pile, a second debt consolidation loan is done. Only this one is bigger because it includes the original consolidation plus any new debt youâ€™ve taken on since. Eventually you end up doing the mother of all debt consolidation loans, by taking a home equity line or second mortgage on your home, or even a cash out refinance of your first mortgage. When you do this, youâ€™ll be converting your short-term debt into long-term debt that youâ€™ll be paying off for decades. Complicating this once cozy arrangement is the fact that declining home equity and tighter lending standards have made home equity and cash out mortgages more difficult to get. It may not even be an option. 4. Debt consolidation could become the easy way out of debt, or so you think. We can think of this as being the â€œmoral hazardâ€ of debt consolidation loans. You build up credit card debt, and then clean it all up with a debt consolidation loan. Not at all. You will have succeeded in rolling your various credit card debts into a single neat package, but you still owe the same amount of money. Nothing will really have been accomplished other than the fact that the monthly payment will be easier to handle. Since most people who are deep in debt are all about monthly payment, thereâ€™ll be a temptation to declare victory. If so, no lesson will be learned. The moral of the story is that debt is bad, and a lot of it is even worse. If the debt consolidation loan causes you to miss that lesson, you could be setting yourself up for bigger debt problems later. Debt consolidation loans can work, but not until you are able to live beneath your means. If the value of frugality is not learned, then a debt consolidation loan will simply be a matter of moving your debts from one loan type to another. Have you ever been tempted to use a debt consolidation loan to get control of your finances? It is a shame that debt consolidation is being thought of as a one size fits all debt solution. I love the points you covered here! Thanks for the great read! In theory, debt consolidation should work well. It’s the emotional/psychological part where it breaks down. The sudden “liberation” that comes after a consolidation is done can easily land you in a worse place than where you started. I agree your point even though, I didn’t try debt consolidation in my entire life. What can I add here, there are two keys to avoid debt, regular saving money and proper budgeting. Limit you expenses base on your plan budget and save your money so that you can use it for any future emergencies. You can also use this money to make some profitable investments but not to buy expensive things that will bring back income or interest. I agree completely. Ultimately you have to become self-funding (savings and other assets) so you don’t need to rely on credit. The sooner that lesson is learned, the sooner you’ll achieve financial freedom.